RE conducted the Chemical Anchor Pull Out Test. This chemical anchor was installed on the floor as moment-resisting support of the new column. 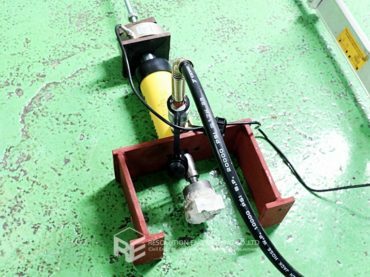 Thus, this chemical anchor must be able to resist tension force according to the design. In this case, proof load according to the design was applied. Test frames, load cells, displacement transducers, and the data acquisition system were used. 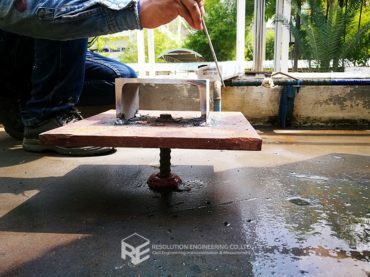 The Concrete Pull-Off Test is used to determine the direct tensile strength of a concrete or the bond strength of concrete mixture. 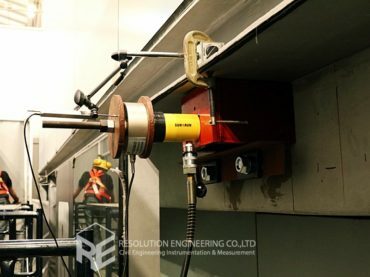 The testing equipment consists of metal test circular plates, threaded rods, epoxy, a core drill, a load cell, a displacement transducer, and a hydraulic jack.